Definition : Sodium sulfate is the sodium salt of sulfuric acid. Anhydrous, it is a white crystalline solid of formula Na2SO4 known as the mineral thenardite; the decahydrate Na2SO4Â·10H2O has been known as Glauber's salt or, historically, sal mirabilis since the 17th century. Other solid is the heptahydrate, which transforms to mirabilite when cooled. With an annual production of 6 million tonnes, it is one of the world's major commodity chemicals and one of the most damaging salts in structure conservation: when it grows in the pores of stones it can achieve high levels of pressure, causing structures to crack. 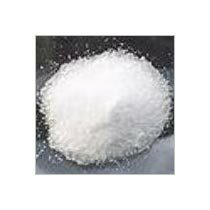 Sodium sulfate is mainly used for the manufacture of detergents and in the Kraft process of paper pulping. About two-thirds of the world's production is from mirabilite, the natural mineral form of the decahydrate, and the remainder from by-products of chemical processes such as hydrochloric acid production.